Welcome 2012! I am personally very excited to start a New Year. I am proud to announce my latest book release – The Metabolism Boosting Diet – and, hope you follow along as we take 5 women and help them achieve their goal weight in 2012 on CityLine. The theme this year is change. If you have a health goal you would like to achieve, I assure you, you can do it at any age or any stage. In fact, the age range in my practice is from ages 8-83! I hope you follow along with us and discover some “aha” health facts that help you reach your highest health potential possible. Remember – when you feel better, you do better each and every time. Did you miss Dr. Joey on City News announcing the weight loss contest for CityLine? If so, click here to view! Also, check out our Shape Up challenge on CityLine. Follow along with us for some GREAT information! Click here for details. Dr. Joey’s book was mentioned by the Globe and Mail as one of the hottest weight loss books of 2012! Typically, when I review a book, it is not mine! However, I am so excited to introduce The Metabolism Boosting Diet. After working in the weight loss world for over 10 years and constantly hearing, “Dr. Joey, I have a lousy metabolism” – I am here to tell you – no you don’t! While it is true that certain factors such as age, hormonal imbalances, lifestyle, sleep or stress may have slowed and even stalled your “metabolic engine” – you can and will pick up your metabolic potential and burn fat, lose weight and feel your best on this program. The Metabolism Boosting Diet is the closest way I can work with you one-on-one (short of you sitting across from me in my office!) and get the most out of your metabolism and weight loss success. Not only will you lose the weight (that is the easy part!) – I will teach you a foolproof system to keep the weight off for life. Check out some delicious recipes from the book below. To read an excerpt from the Metabolism Boosting Diet – click here! Cookin' Greens Athlete's Mix – I love Cookin' Greens products because they make eating your greens quick and easy. The Athlete's Mix is one of my new favorites containing a winning combination of collards, spinach, kale, red bell pepper and white beans. The tasty mix is exceptionally high in vitamins A & C and offers 15 percent of your daily calcium requirement and 10 percent of your daily iron needs. With no washing or chopping involved, Cookin' Greens Athlete's Mix is turning veggies into the new fast food! Add to eggs or mix in with tomato sauce and goat’s cheese – yummy! Available at most major grocery stores and natural health food markets. Gluten Free Lentil Crackers – Finally...there's an alternative to wheat-based crackers! Lentils are among the world's healthiest foods containing an excellent source of vegetarian protein, iron and fiber. These Mediterranean-inspired rustic crackers serve up like a flatbread and have a great bite to them. A satisfying serving of 18 lentil crackers gives you 5 grams of protein with no allergenic gluten. Celiacs and gluten intolerants rejoice! You can happily enjoy this healthy snack without any digestive aftermath. Chocolate Mint Rooibos Tea – Trying to kick a post-holiday sweet addiction? Sip on this refreshing chocolaty mint tea by the Nu Tea, an organic fair trade company. Rooibos is a caffeine-free, red leaf tea originating from South Africa and is a source of all the usual antioxidants found in tea as well as vitamin C.Made with real cocoa and mint leaves, this calorie-free tea gives you all the flavor of dessert without the guilt. The Joyce Chen spiralizer – This spiral slicer is the perfect kitchen tool to create low carb pasta noodles. Using the spiral slicer on “angel hair” setting, you can create pasta like noodles from zucchini or hard squash. To order a spiralizer, please visit www.ultimate-weight-products.com. To watch a video on how to make the pasta noodles, please click here. 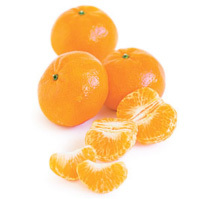 Each of the 14 segments in a clementine, or “zipper orange”, is an exercise in mindful eating as well as a good source of vitamin C and folate. In fact, one little clementine provides 50 percent of your daily requirement of cold-fighting vitamin C! After the juicy segments are enjoyed, squeeze the peel to release aromatic limonene oil, which is up-lifting and mildly antiseptic. Chopped clementine segments or peels also make great garnishes on salads, desserts and drinks. Frozen, chocolate-dipped clementine segments are also an easy but elegant entertaining treat. This month I want to thank everyone who has allowed their weight loss journey with me to be told in The Metabolism Boosting Diet! You are all inspirational and will help so many others pave their path towards optimal wellness and a lean body weight. See some of the amazing transformations below! To book your free weight loss assessment, please contact inquiries@shulmanweightloss.com for our Thornhill, Yorkville or London location! This delicious recipe is a perfect addition to your weight loss plan. Easy to make and high in protein – you will definitely add this to your morning regime. Combine the cottage cheese, canola oil, egg and egg white in a processor and blend. Heat a non-stick pan, lightly oiled. Microwave the strawberries for 30 seconds. Then mash with a fork. Mix in the agave syrup and top over pancake. Instead of eating potato chips, try this virtually “free” snack. These chips are low in calories and high in antioxidants, beta carotene and fibre — how can you go wrong? Rinse kale and pat dry with paper towel. Cut off stems and tear leafs off the rib. Discard the centre rib pieces. In a large bowl, whisk together oil, vinegar and salt. Add kale and gently toss. Divide kale among 2 parchment paper–lined baking sheets. Bake for 15 to 17 minutes, until crispy. In a bowl, mash bananas. Stir in sugar and egg. Add applesauce. Stir in baking powder, baking soda, quinoa flour, and ground flaxseed until just combined. Gently stir in fruit and nut or seeds of your choice. Spoon batter into muffin tins (greased with fat of your choice, such as coconut oil or butter), filling each to three-quarters full. Bake for 25 to 30 minutes, or until skewer inserted in centre of a muffin comes out clean.